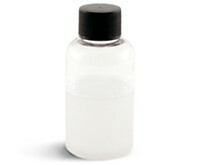 Prevents the vanilla in fragrance oils from turning melt and pour soap formulations brown. It will not prevent color changes due to ingredients other than vanilla. Must use in a well ventilated area. Why People Use This Product: To prevent fragrance oils containing vanilla (vanillin) from turning MP Soap Base brown. Interesting Facts: Prevents the vanilla in fragrance oils from turning formulations brown. It will not prevent color changes due to ingredients other than vanilla. Must use in a well ventilated area. Physical Form: Clear Liquid Solubility: Soluble in Water Storage: Room temperature. Air tight container.